Clare turned a work trip into a life adventure this summer. 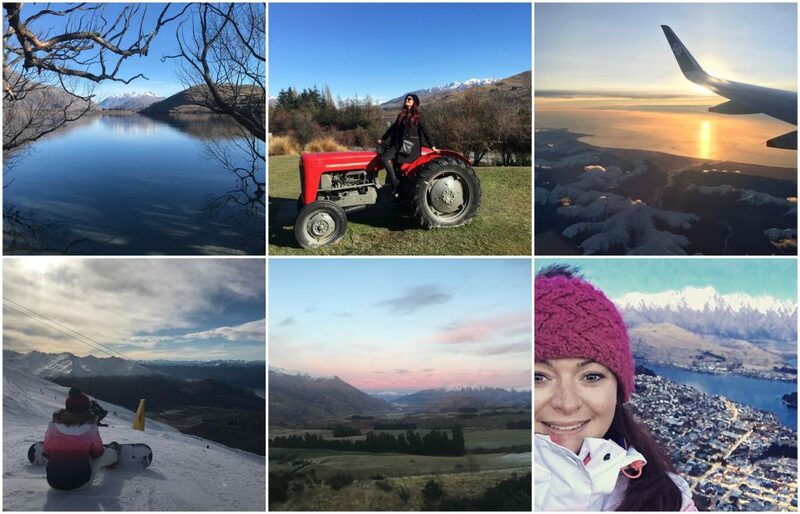 Invited to deliver a series of keynote speeches on the other side of the world, she added on six weeks of solo travel around Hong Kong, Japan, New Zealand and Lombok. 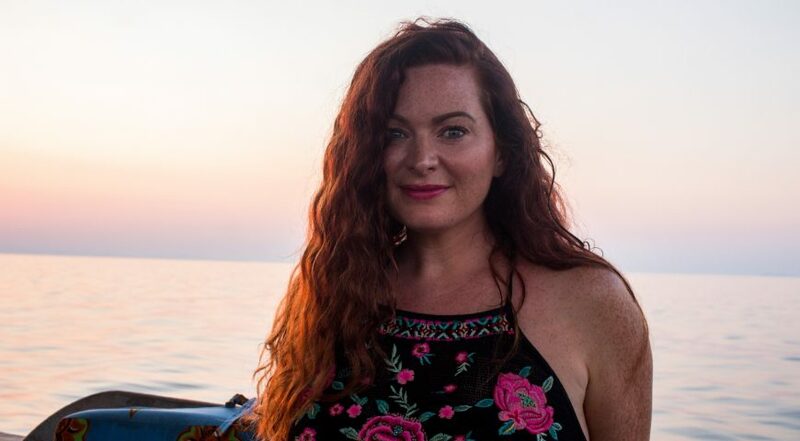 Here’s her experience of how to travel the world with your job, and how to make the most of it. I’d never really taken time to travel before this summer. Lots of my friends took gap years in their early twenties and some have gone more recently. But I’ve been so busy focusing on my career, somehow I’ve never really done anything other than short holidays. I manage Customer Experience for Sainsbury’s here in the UK. This summer a company in New Zealand invited me over to deliver a series of keynote speeches and I jumped at the opportunity. It was an honour to be asked, and there’s plenty that companies around the world can learn from one another. I’d been working really hard in the lead up to that point. I’d recently had a promotion so, whilst it was all being arranged, I thought why not go and see some other amazing places at the same time? It was a chance to press pause and treat myself. I wanted to try some things that I’d never tried before. Holidays in the past have always been about staying in lovely hotels in beautiful places. This time around, I fancied something out of the ordinary (with a bit of luxury thrown in too, of course). Last year I began horse-riding again. It was a passion of mine when I was younger and I’ve loved discovering it again after a long time out. So, when you guys pressed me to think about what I really wanted from my trip, I knew I wanted to experience that in different contexts around the world. Looking back, the horse-riding experiences were some of my very favourite memories of my trip. 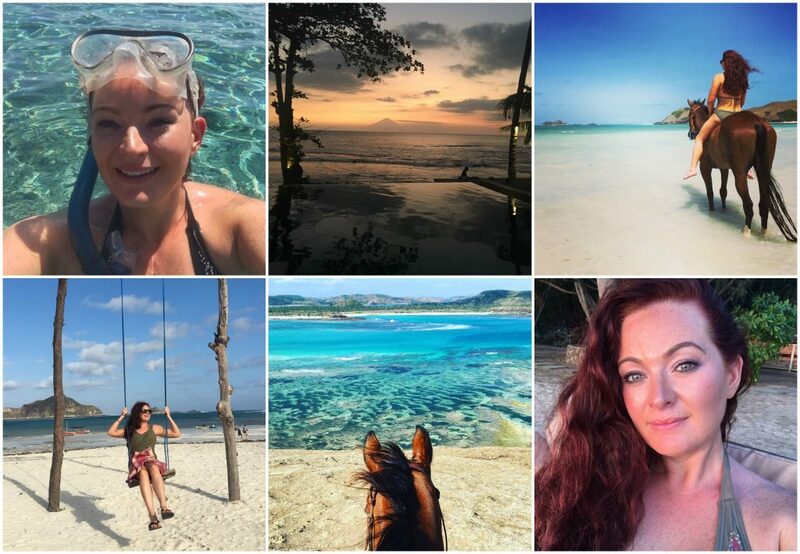 My dressage lesson in Japan, galloping along the coast in New Zealand and trekking around the mountains, beaches and villages of Lombok, before bathing my horse in the sea. I’ll never forget any of those moments. Choosing where to go was a bit of a challenge. This was my first big trip and I thought I could fit the whole world into six weeks. My original itinerary had around seventeen countries on it! Thankfully, you guys helped me to narrow it down to places that I could make the most of. In the end, I had a quick stop-off in Hong Kong, spent a whirlwind ten days exploring Japan and then a couple of weeks in New Zealand (a good mix of work and play). I spent my final ten days unwinding in Lombok with a stop off in Kuala Lumpur on the way home. It was incredible. It turns out I have eclectic taste in travel! In Japan, my highlights were climbing a mountain in Koyasan, going horse-riding with an instructor I admire enormously in Hakone and watching the sun set behind the tori gates on Miyajima Island. In New Zealand, I adored snowboarding amongst the backdrop of the Cardrona Valley. It was so different from the European slopes I’m used to. I also really enjoyed riding a high-speed submersible shark in Queenstown (! ), galloping on horseback along the beach and devouring an exceptional nine-course tasting menu with new friends at a gorgeous winery. The final ten days in Lombok were a little slower-paced. I rented a scooter, explored empty beaches, had massages, went diving amongst the most beautiful reef and went horse-riding in the most stunning setting on the south coast. I’ll never forget being woken one morning by the moon shining so brightly I thought it was daytime. Staying awake to watch it melt down into the sea was just incredible. It was the perfect way to unwind and reflect before heading home. The first day in Japan was probably the toughest and most daunting experience. Arriving into Tokyo with a GPS that refused to work and no knowledge of the language was pretty disorientating. But, I soon figured it out, and my confidence grew and grew whilst I was away. There were a few other hiccups… My laptop broke the day before my keynote and my flipflop broke whilst walking in Koyasan one day. Thankfully I managed to get hold of a replacement for both! I learned a few things about myself travelling on my own. In particular, how capable of being independent I am. Living in London and having a big group of friends, I almost always have other people around me. I’d assumed I’d need to travel with someone else and was a little nervous about going on my own. Now I know that’s just not the case. Now I’m back, I’m going to make much more time for myself. Travel had never really been a priority for me, but now I’ve experienced it I know that’s going to change. It’s also going to be less about holidays and more about putting myself out of my comfort zone. I’m looking forward to exploring new places and trying new things again as often as I can.